Actually, I’m sure the number is much, much higher than that, perhaps closer to 300,000 words, because I’m only counting the fiction I produced this year. This number doesn’t include any of these blog posts (something like 150 posts this year, many of which were 1,000 words or more), nor does it include the blog posts on my Smile! blog (54 posts since August). It also doesn’t include the reams I’ve written in comments on other blogs, or in emails; nor does it account for the handwritten notebooks I keep (I’ve filled almost two this year). Technically, I only wrote one book in 2010. One of the books I’m claiming is a story collection I started almost a decade ago, and another is the horrible mess of a NaNoWriMo book I did last month. The collection consists mostly of work I’d already written and contains only a few stories I started and finished this calendar year, and the novel is so rough and ugly that I plan to throw most of it out. The other book, my NaNoWriMo novel, is ugly as sin, but every word of it is new to this year. Okay, not every word — this is another book I’ve had in the back of my mind for ages, and I have reams of notes which bled into the draft as I wrote. But let’s say 90% of those words are new this year. That’s still almost 50,000 words written just on that book alone. The third book I wrote was a small family history/travelogue/photo-essay for my grandfather, which I printed through Blurb as a gift for his 90th birthday. This is a strange number. On the one hand, half of these stories saw their origins last year or earlier, but they didn’t really take shape until this year. And two of those changed so dramatically in revision this year I might as well have written them from scratch. 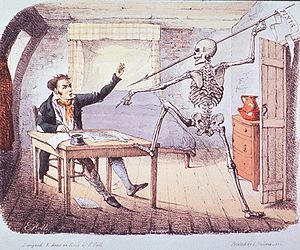 On the other hand, one of the other four stories is still not quite finished, and another is not really satisfying me yet and still needs a little tweaking. Still, in terms of stories I’ve put to bed (or at least gotten into their pajamas), eight is a fairly decent number. The other strange thing about this number is that it doesn’t include the stories I’ve started this year (half a dozen?) or the stories I’d started ages ago but put the finishing touches on this year (three or four). There’s also one story I’ve been collaborating on with another writer; it’s nearly finished, at least in draft form, but neither of us has worked on it in months and it’s not going to be finished until next year. But, altogether, almost 20 stories started or finished this year isn’t a bad number, at least for the kind of fiction I write (it’s worth noting that a handful of the stories I both started and finished this year are all long-form stories averaging more than 9,000 words each). If you’re curious about the lag time between writing and publication, at least in my process, I can tell you that only one of the stories I published this year was also written this year. One of the others is an essay I wrote and submitted last year that didn’t appear until this year, but the other five have been floating around the market in one form or another for a while now. None of them waited more than a couple of years to find a home, but for all you new, aspiring writers wondering how long you have to keep at it before someone accepts your work: Don’t give up. It can sometimes take years to place a story, but keep at it — it will happen. Incidentally, the most recent story on my Publications page, which I’m counting in this 2010 recap, hasn’t actually appeared yet. It was accepted this year, but the issue won’t come out until next year. Also for the curious and aspiring writers: I currently have seven stories in circulation, awaiting acceptance or rejection in the Big Bad World. So here’s hoping 2011 starts off with a slew of new publications! The NaNoWriMo novel I did in 2009 has a lot of promise, and on top of all this new writing I’ve done in 2010, I’ve also been toying with that book and trying to bang it into shape. It’s looking better every day, and since I’ll be returning to the States this coming year (at which point I’ll have better access to the resources necessary to finish that book), I plan to do a major revision and polish that thing up for publication. My dissertation novel, too, has been a constant project in the background, one I’ve returned to in one form or another throughout 2010. But just the other day I hit upon an idea for finally making that book work on all the levels I want it to, so it’s also getting a major working over in 2011. And I have a backlog of story notes, story ideas, and half-started story drafts that I want to move on to. I’ve been setting them all aside the last half of this year to focus on polishing and submitting existing stories, finishing my story collection, and knocking out this year’s NaNoWriMo. But it’s time I get back to my “beginner’s mind” and start some new drafts again. I miss that part of the process: the newness, the excitement of discovery, the joy of just seeing what unfolds on the page. 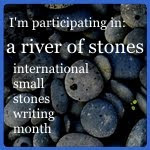 UPDATE: Speaking of “beginner’s mind”: In January, I’ll also be participating in the River of Stones project, which I learned of through Lori Ann Bloomfield’s First Line blog, so keep an eye open for those starting in the New Year!